Rihanna looked incredible in the 'Princess Of China' music video but the Bajan superstar also showed off some impressive moves while fencing with Coldplay's Chris Martin. 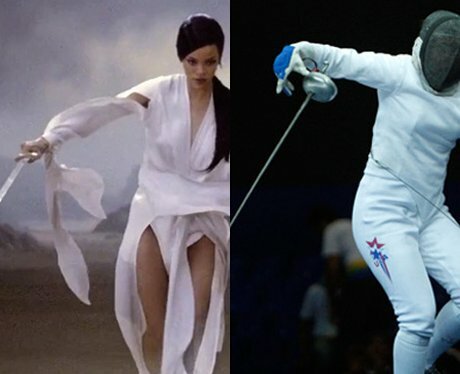 We could see RiRi taking some tips from American bronze medalist Courtney Hurley and putting on the iconic fencing cowl ready for Rio De Janerio 2016. Watch out world... Rihanna's coming for you!